Yes, they do still make old fashioned rosebud print pjs! 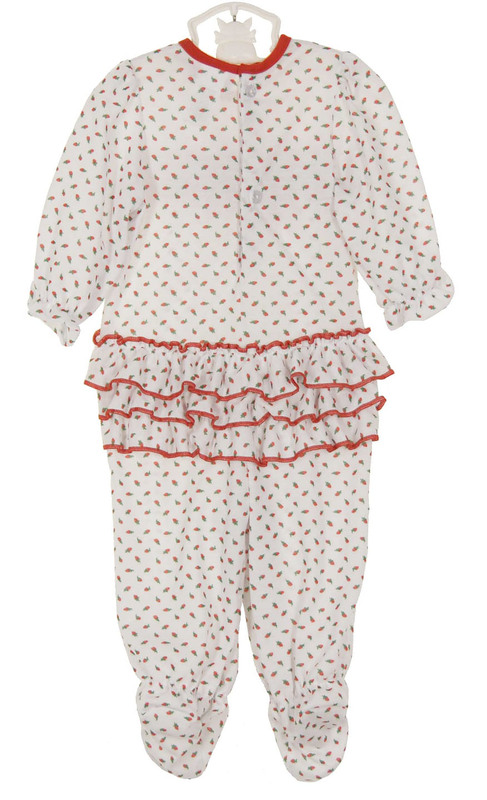 Here's the most adorable little footed red rosebud print pajamas for year round wear! 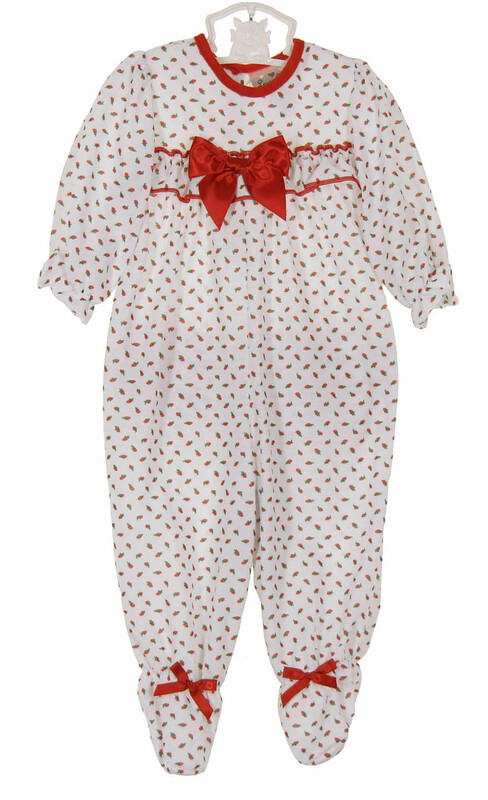 Perfect for Christmas and Valentine's Day, too! Although made of flame retardant polyester fabric, they feel like soft cotton knit. 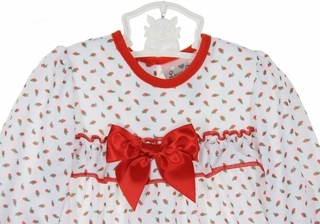 Matching gowns for infants, toddlers, and little girls are also available. See below.